The third generation of the Gagliano family witnessed the finest instrument making of the family and also saw its decline in the 19th century. Joseph Gagliano (1742 – 1820) was the second violin making son of Nicolo. Whereas his older brother, Ferdinand, worked with their uncle Gennaro, Joseph’s hand is frequently seen in the instruments of Nicolo. His early instruments showed him to be very skilled, and his work was at times comparable to his father’s. Over time the quality of his instruments declined and those made in conjunction with his brother Antonio are markedly less successful. 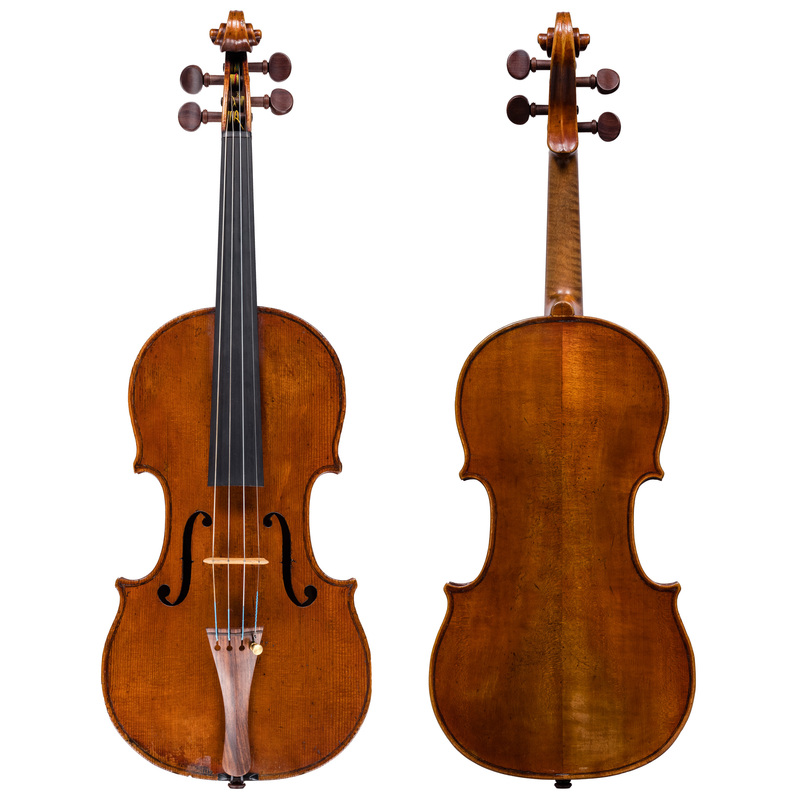 This violin is a full, broad model that offers the highest level of power and brilliance that is perfect for any concert violinist. It is in excellent condition, which assures stability and reliability that is so essential for players today.